Once you have implemented ERP across your organization, you will begin to see several positive changes in a number of domains. 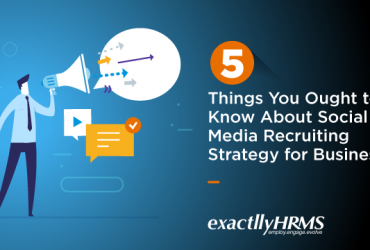 Firstly, you will notice that most manual process arena automated, and your employees have more time to focus on critical tasks and also find time to unwind and get some rest. Second, you will begin to see improvements in inventory management and shipping delivery times, leading to enhanced customer satisfaction. Most importantly, ERP will help you to bring order to a chaotic business space which will ultimately help you to have a better vision for your vision. 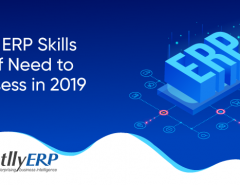 Yet, with all its positive effects and benefits, ERP can prove to be a tough nut to crack when it comes to maintenance. Let us take a look at how you can make your ERP compatible with proactive maintenance so that you don’t have to wait too long before addressing critical issues. Initially, businesses used to engage in maintenance in reaction to problems that developed. Whenever they noticed issues with a software program, they would contact the vendor in order to update or fix the bugs. This is called reactive maintenance and causes immense wasteful expenditure. Predictive maintenance uses algorithms and statistical tools to predict issues with a software program or product even before they actually arise, letting you take proactive steps to fix the issue. This is called proactive maintenance and you need to follow this as a philosophy more than just a strategy. Implement proactive maintenance culture across your organization to keep your ERP and other software programs top-notch. While cloud-based ERP is a great solution for most businesses, some businesses do require hybrid models with a. Few models implemented onsite. Both cloud and hybrid models require continuous technical support and when you choose either, make sure that your vendor writes after-sales support into the contract. 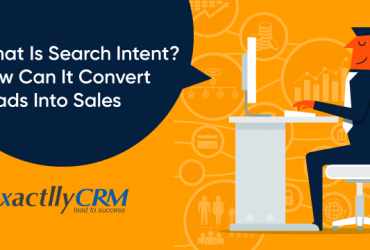 This helps you to avoid expensive post-sales support queries and assistance. Proactive maintenance also ensures that you will use less support than you normally would because problems are addressed even before they arise. Continuous after-sales support is also required for preventive maintenance which is in fact quite proactive in nature. Many businesses make the mistake ion not testing and updating their ERP regularly. While cloud-delivered applications are often updated via backend, it is still necessary to keep certain hardware and software requirements updated. Get your IT team to regularly test all the software programs you have installed and look for bugs and errors. 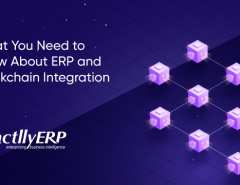 Errors and bugs can result in problems within your ERP as well, as most businesses integrate their ERP with other tools these days. This means, as a proactive maintenance protocol, you need to keep everything software program you have implemented updated and tested. This helps to keep your ERP clean and error-free too. There are many reasons why an ERP might develop issues. This could be due to faulty hardware or issues with the operating system. Your employee may be using insecure devices especially if you have enabled BYOD policy. This calls for an organization-wide technology audit that looks for loopholes and issues that may create problems in the future. You need to proactively look for errors, vulnerabilities, risks and issues so that your ERP continues to function normally. This requires a lot of effort and technical knowledge and thus, you might have to seek the services of vendor who can help you with a preventive audit. If you have integrated your ERP with certain devices and industrial equipment, it makes sense to implement Internet of Things. Internet of Things-enabled sensors can accurately predict when a machine is going to experience breakdown, and thus help you avoid expensive maintenance procedures. IoT helps you to keep not only your ERP but all your equipments to be on the edge, in a proactive manner. When IoT is combined with predictive analytics, you can rest assured that proactive maintenance is implemented across your organization. 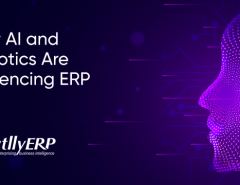 Certainly, ERP is important to streamline your business processes and ensure that your organization remains productive even when there are multiple processes running at the same time. However, ERP requires regular maintenance too and some of those procedures can prove to be expensive. To avoid such situations, you can make proactive maintenance a part of your organizational culture. Speak with your vendor to make after-sales support a priority and engage in regular testing and maintenance of your ERP. Make sure to conduct regular technology audits as well, so that tools connected with ERP do not develop issues. Finally, invest in IoT sensors in order to take your proactive maintenance to the next level.